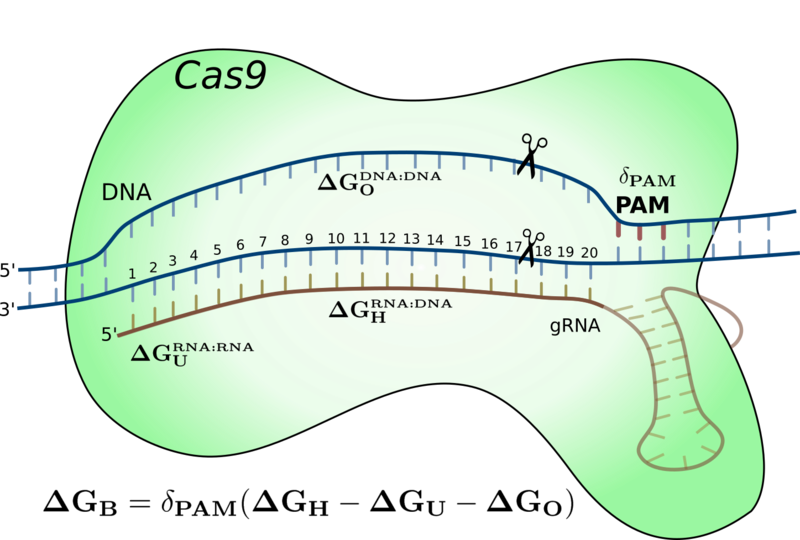 The center aims at developing technologies, computational methods as well as experimental approaches for analysis of the mammalian genome for non-coding RNAs in relation to (inflammatory) diseases. The center will focus on developing these technologies to exploit them and the findings in relation to diabetes. The center consists of a number of national and international partners, with the core located at the Faculty for Health and Medical Sciences of University of Copenhagen. The people in the center cover a range of expertises including computational biology, RNA bioinformatics, molecular models in diabetes, RNA biology, animal models, functional genomics and high-throughput sequence analysis. We are always looking for motivated and talented young scientists as well as projects or colaborations within the areas of the center. Feel free to contact us with suggestions or to ask for more information. 2018-10-26: We present a novel energy model for the CRISPR-Cas9 system by modeling the nucleotide duplex binding energy. This model account for a portion of the off-target data from NGS applications as well as perform better than machine learning models. We also provide a specificity measure for how well a gRNA is on-target versus off-target. Read the full article or visit the webserver. For previous news, see here. For previous events, see here. The human genome, made up of DNA, consists of three billion building blocks (nucleotides) where some regions (stretches) are complete genes. We all carry variants of the genes and some cause diseases. Here, the goal is to investigate the specific class of genes, the non-coding RNA genes, in relation to diabetes. The non-coding RNA (ncRNA) genes can be the missing components in diseases that previously have been overlooked. Our research goal is to develop technologies for ncRNA analysis and to search for functional ncRNAs in relation to diabetes and other (inflammatory) diseases.